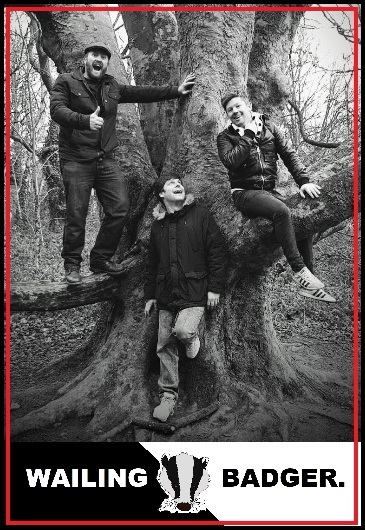 Climbing out of the depths of rural Leicester are three musicians who complete Wailing Badger. After being friends for a long time and all with vast experience of playing in different bands and many different styles they decided to come together and work on a sound which mixes blues/soul/pop and funk together and anything else that falls into the pot. A power trio which heralds influences that range from Chic to Chromeo to Cream. Over the last year Wailing Badger have been recording and crafting their sound, now playing these songs out live with great feedback they are looking to move on and build on this in 2019. Everyone has a sound but to be honest it’s easier to check us out and let us know what you think than us deciding who and what we are. Listen to the sound of the Wailing Badger and join the clan.